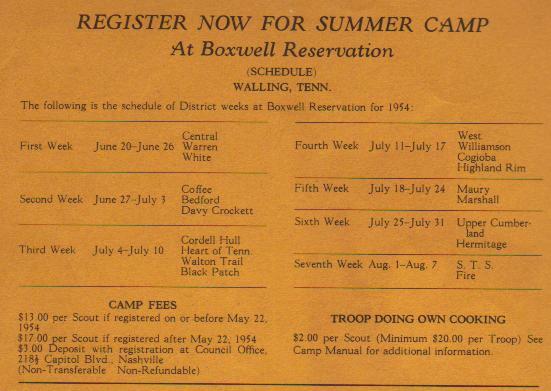 The oldest MTC district list I have been able to dig up is from the 1953 Scouting Exposition program. 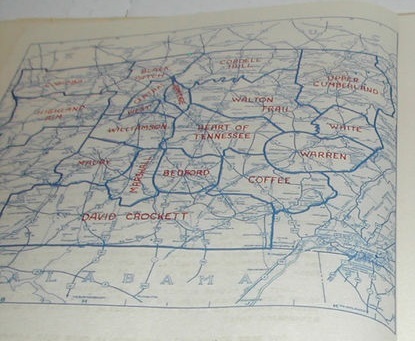 A list containing the same districts appeared in the 1954 Scout Circus program and is pictured below. The districts on that list which still exist today are Davy Crockett, Walton Trail, Cogioba, Highland Rim, Upper Cumberland and Hermitage. Below is also an image of a district map from 1954 which shows all of the districts listed in those 1953 & 1954 lists. The district that is in the SW corner of the council was apparently not yet named. 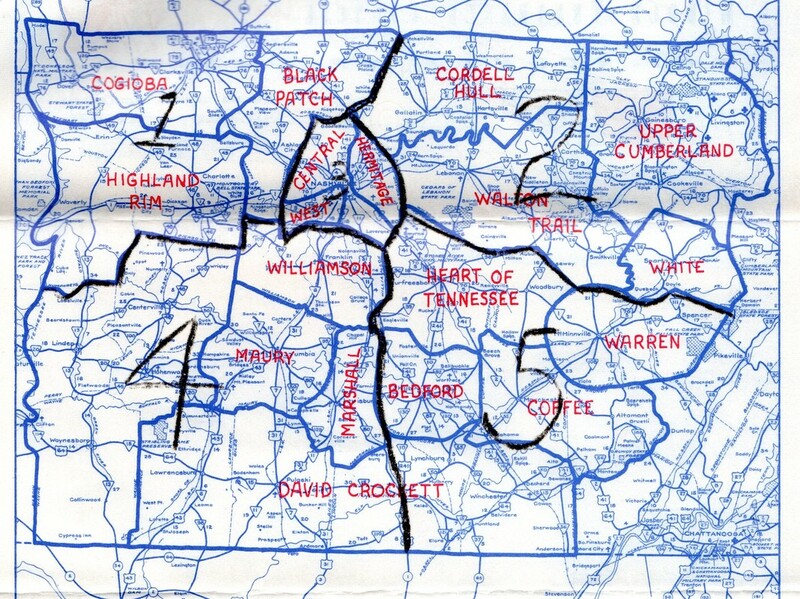 In the 1959 map, this is Buffalo River District.